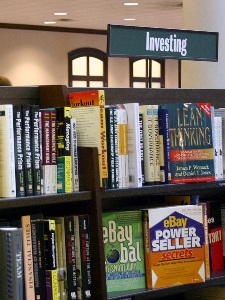 A new round of investment books are churned out after every major market event offering a new way to invest. Market crashes and asset bubbles are prime opportunities for the book industry to offer up some new or long forgotten investment strategy. Too often, the books pry on your fear, greed, and wallet. It always ends up being time or asset specific, short-term focused advice, with just a hint of get rich quick to it. The best investment books are timeless. Thankfully, a few great investors were also teachers willing to share their knowledge, experience, and practical advice. Something every investor needs from time to time. And they did it in a way investors at any level could learn. Besides, it’s still cheaper to pick up a book then to learn from experience alone. And self-education is a great way to learn about investing. All the books below I’ve read and reread over the years and will act as an introduction and reference for improving your investment knowledge. 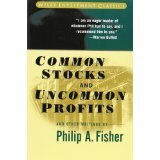 It’s been repeatedly called “the best book ever written on investing”. Its age is a testament to its timeless advice. In it Graham lays out investing principles that have worked for decades with topics on portfolio management, defensive investing, and fundamental analysis. 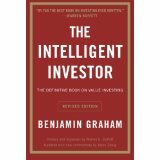 It’s a book any would be serious investor should dig through once and a must for value investors. There are several editions available, each with differing opinions on which is best. You can easily get a hold of past editions thanks to its popularity. This is one of those books you can reread a dozen times and walk away with a new idea or insight each time. 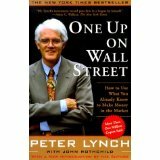 Peter Lynch was the exception to the mutual fund manager norm. He took the Fidelity Magellan Fund on a thirteen year, 29% annual return ride and trounced the S&P 500 along the way. Lynch has a simple and easy philosophy that small investors have an advantage. This is a great book for beginners to start with first. Once you’re done, grab his second book Beating The Street. Fisher focuses on companies that offer sustainable growth with a competitive advantage, which is a staple idea today. Only he was perfecting it over a half century ago and finally publishing his philosophy in 1958. It’s been used as a teaching tool by the Stanford MBA graduate investment course for years. But you don’t need to be a graduate student to understand Fisher’s “Fifteen Points” philosophy. Even Buffett has added many of Fisher’s philosophies to his own investment style. The title doesn’t come close to explaining the topics in this book. 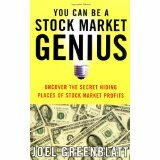 In it, Greenblatt covers special situations. The spinoffs, mergers, restructuring, recapitalization, warrants, and more that most investors shy away from or overlook. Special situations are an entire area of investing that is rarely discussed, but offer a lot of investment potential for those willing to put the time and research into it. It’s a neatly organized collection of Buffett’s letters to Berkshire Hathaway shareholders. It contains his philosophy on corporations, management, shareholder’s rights, accounting, investing, and too many other topics I’ve forgotten, which warrants a reread. Because of how the book is laid out you can easily read it piecemeal. It’s like a cataloged version of picking Buffett’s brain anytime you want. Just cover a section or chapter, set it down, and return to it later. It’s known as the value investing bible. It’s a comprehensive coverage of intrinsic value, fundamental analysis, and the advantage of finding price and value discrepancies. 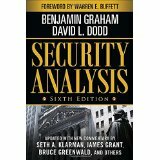 The ideas and value investing philosophy laid out by Graham and Dodd have worked in every market climate. Their complex ideas aren’t the easiest to get through at first but you’ll have a better understanding of value investing when you’re done. There are several editions floating around. I’d recommend the sixth edition. 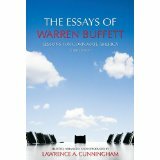 It’s a reprint of the 1940 second edition with a foreword by Buffett and essays from leading value investors.